In 1994, Vincent York developed the interactive educational program that became known as Vincent York’s Jazzistry. In 2001, this enterprise evolved into a nonprofit 501(c)(3). Jazzistry is an original word (jazz + history + artistry = Jazzistry) that captures the essence of a dynamic way to teach American history and culture through the live performance of the many different styles of music that evolved into jazz. The Jazzistry band takes students on a live musical tour across time and space, passing through four centuries and across four continents, turning school auditoriums into multicultural musical time machines. The interactive multimedia program literally swings through an unforgettable history lesson that excites learning and connects students, teachers and others to our shared American heritage. Jazzistry’s story begins 400 years ago in colonial America. Musical traditions carried to the New World in the hearts of enslaved West Africans were integrated with European and Latin musical traditions creating new musical forms that are uniquely American. Jazzistry showcases the evolution of America’s music demonstrating the multicultural integration that comprises our culture. In 2000, WEMU funded five Jazzistry performances. Additional funding from the Ann Arbor Area Community Foundation, corporate support and individual donations, made it possible for Jazzistry to perform at 14 schools, one hospital and a juvenile correction center. Mr. York conducted a 12-school, 2-week artist-in-residency in Saginaw, Michigan, sponsored by Dow Corning and the Saginaw Community Enrichment Commission. Since 2001 with funding from: Michigan Council for Arts and Cultural Affairs, National Endowment for the Arts, WEMU, Dan Cameron Foundation, Rosebud Foundation, Pfizer Community Grant, corporate support and individual donations, Jazzistry has performed in over 150 schools, community events, music festivals, church youth forums, colleges, and educational conferences. Most Jazzistry gigs occur during the day within a 60-90 minutes driving radius of Detroit. Increasingly, invitations are coming from schools and communities outside of that radius since Jazzistry has achieved statewide (and national) recognition through key conference presentations over the past few years. The full Jazzistry program includes a staff development workshop, artist visits and a band presentation of 45 to 90 minutes depending on the age of the audience. In 2008, Jazzistry won statewide recognition for its unique contributions to arts education when it received the Annual Guvvy (Governor’s) Arts Education Organization Award. Jazzistry’s musicians teach American history through the history of jazz, using a highly engaging format that is tailored to each age group they serve. By bringing the students in to participate in both the music making and the history this unique program demonstrates how jazz belongs to all of us as the only indigenous art form that has found a way to successfully cross cultural barriers. Jazzistry’s curriculum celebrates the musical contributions of all Americans with emphasis on African Americans, other minorities and women who changed the course of jazz and therefore all American music. Jazzistry also shows how this uniquely American music was exported to France and is now appreciated all around the world. The history of jazz is the history of America. It is the history of people who maintained and expressed their creativity, pride, imagination and hope even when the odds were stacked against them. They took everything they heard, the diverse instrumental styles, the sounds of their environment and built a new music form that every American can take pride in. We have found that students are much more motivated to learn about history when they can find themselves reflected in it. Jazzistry brings students from all ethnic, cultural and racial backgrounds into our workshops as active participants, providing ways for them to identify with positive role models from history. Jazzistry is an effective resource for facilitating classroom discussions about race and multiculturalism. The compelling technique of combining music, visual multimedia, performing arts and storytelling with deep historical, cultural and curriculum content has a persuasive impact on students’ interest in material they may otherwise consider boring. 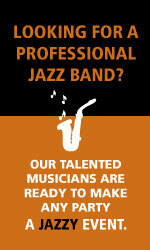 The centerpiece of the program is the professional six-piece Jazzistry Band. The ensemble is composed of the finest jazz musicians in the region. Their 45-90 minute performance (geared to the age of the students) is a fast-paced, multi-media enhanced educational experience that moves through 400 years of American history and culture, using the story of jazz as its vehicle. This presentation showcases the evolution of America’s indigenous music, emphasizing America’s multicultural strengths. An Artist in Residence Visit begins the process. It prepares listeners to fully embrace the mission of the Jazzistry Presentation. The visit is an hour-long session with a Jazzistry musician and his or her instruments. It’s a hands-on experience with lots of student participation, singing, PowerPoint presentation and other visuals. It is intended to help the students as well as the teachers cultivate a personal relationship with our history and is our unique way of showing them how we all benefit from our multicultural heritage. This is the first step in expanding how students view our society. Jazzistry creates, adapts and models creative approaches to standard content areas through collaborative partnerships with the teachers we serve. Prior to the band’s presentation, York and former PEO Program Manager Tasha Lebow, meet with teachers to explain Jazzistry’s alignment with state and national curriculum standards. These conversations allow us to incorporate direct connections in the Jazzistry Presentation to the core curriculum. Many teachers and students report that Jazzistry is their first exposure to cross discipline connections. Vincent York is uniquely qualified to direct Jazzistry’s programs. He was born into a family of musicians and a life of music. His introduction to Charlie Parker in ninth grade was a turning point in his life. York attended Southern University at Baton Rogue, becoming the first jazz studies major under clarinetist Alvin Batiste. After graduate study in classical saxophone at the University of Michigan he toured with the Duke Ellington Orchestra under the direction of Mercer Ellington until he formed his own band, the Force, in 1977. Later renamed Vincent York’s New York Force. York has recorded or played with noteworthy jazz artists such as Marcus Belgrave, Ella Fitzgerald, Sarah Vaughn and Motown names such as The Temptations, The Four Tops, Aretha Franklin and Martha Reeves. York is also an active educator. 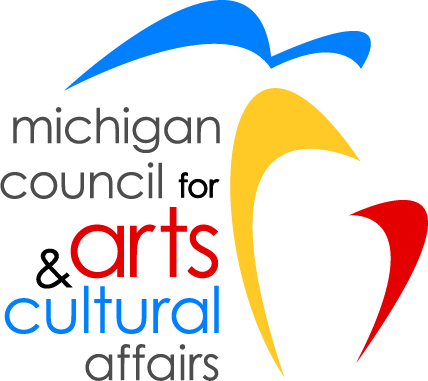 From 1996 to 2001, he was a Michigan Council for the Arts and Cultural Affairs Artist-in-Residence at Community High School in Ann Arbor. During this time he formed and taught numerous student jazz combos there and at Washtenaw Community College, including at 21-member jazz orchestra with musicians aged 17 to 70.